At the CIU, we have a broad range of equipment and facilities that we use in our research that we routinely use in our industrially focused research projects. In addition to the equipment listed below, we are able to access a wide range of research equipment at the University, enabling us to tackle a broad range of challenging applications. Some of the equipment that we hold in the CIU laboratories is list below. 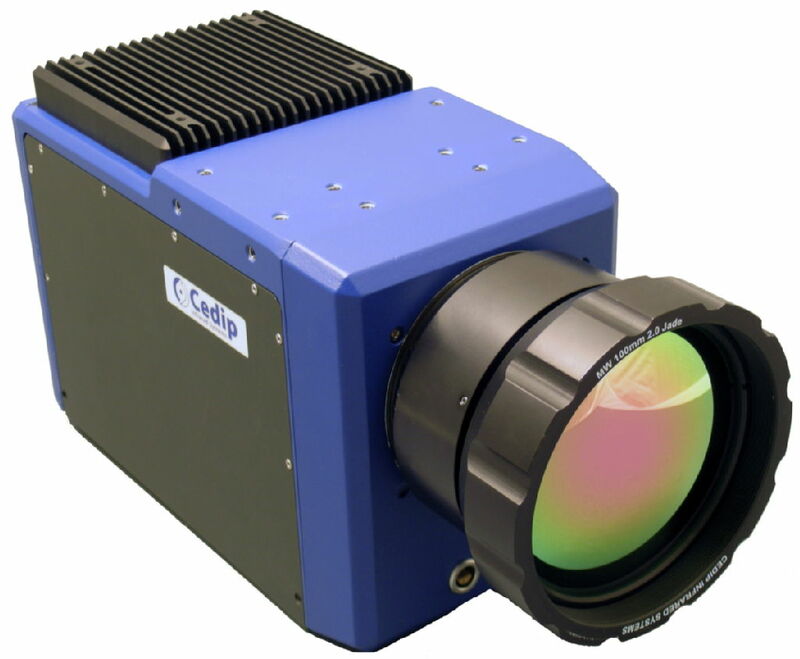 Supplied by Intelligent Optical Systems (IOS), this interferometer allows out of plane displacement measurements using probe laser beam on rough or non-reflective surfaces - potentially suited to industrial type surfaces. Bandwidth 50kHz - 125MHz. 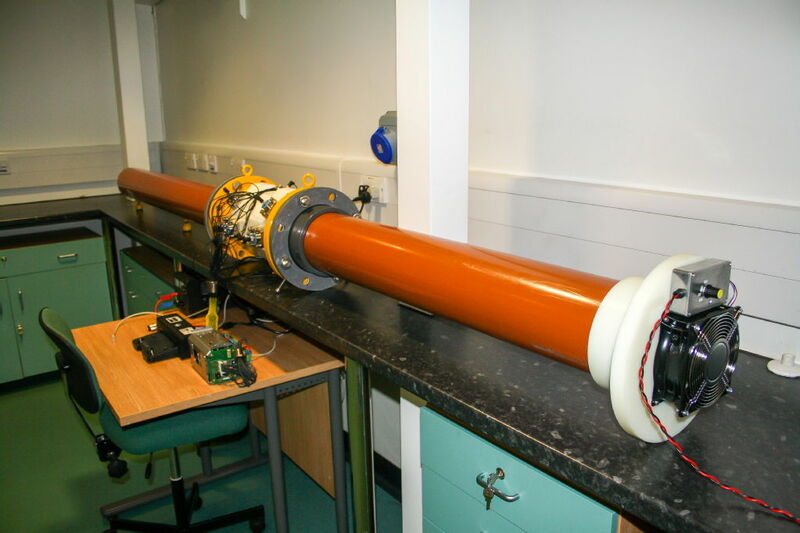 Designed and constructed at Warwick from stock components, measurements from this equipment have underpinned several fundamental and applied research projects. 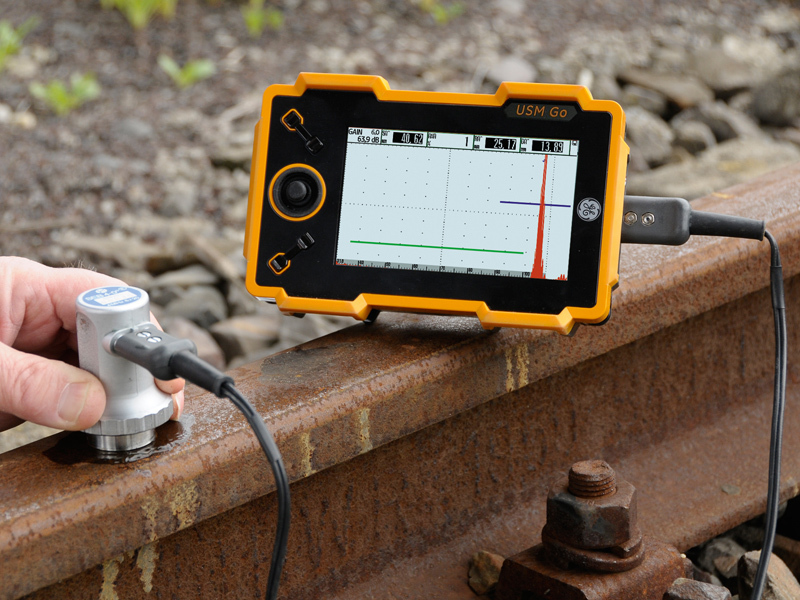 It provides high accuracy displacement measurements down to 10-12m. 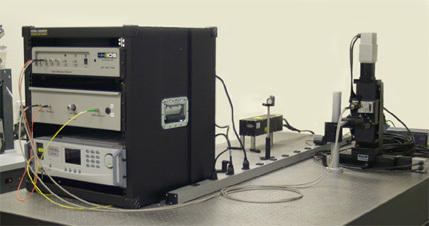 Powerful lab tool, for characterisation of displacement on highly reflective surfaces. Bandwidth DC-80MHz. 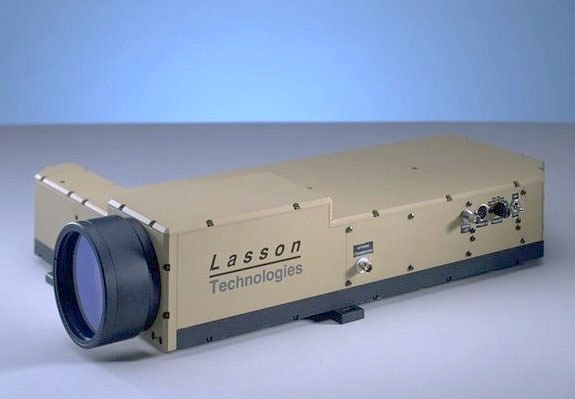 Supplied by Lasson - allows out of plane displacement measurements using probe laser beam on rough or non-reflective surfaces. This makes this type of interferometer potentially suited to industrial type surfaces. Bandwidth 50kHz -1MHz. Supplied by Polytec - allows eye-safe, out of plane displacement measurements using probe laser beam on rough or non-reflective. 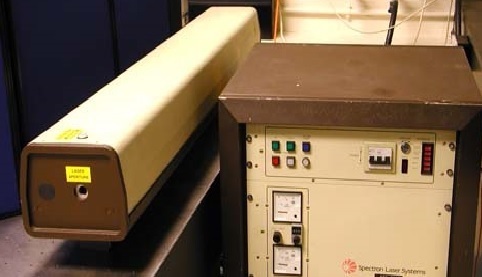 This makes this type of interferometer potentially suited to industrial type surfaces. Bandwidth 50kHz - 2MHz. 400mJ per pulse at 1064nm. 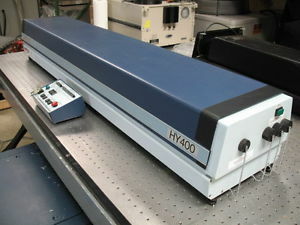 Used for non-contact generation of ultrasound on a range of material types. 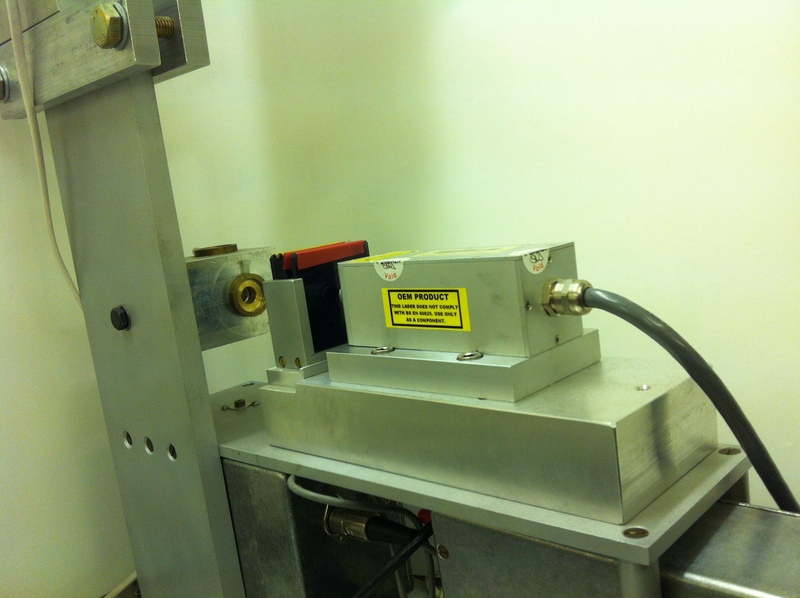 Laser has 10ns pulse width Q-switched laser, up to 200mJ per pulse at 1064nm. 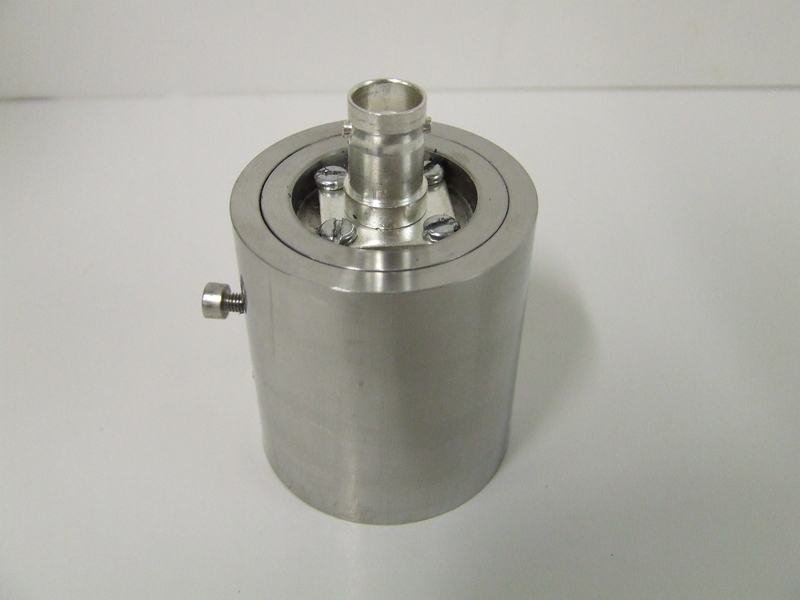 Used for non-contact generation of ultrasound on a range of material types. 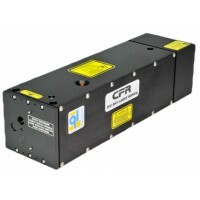 Laser has 10ns pulse width Q-switched laser, up to 400mJ per pulse at 532nm. 50mJ per pulse at 1064nm. 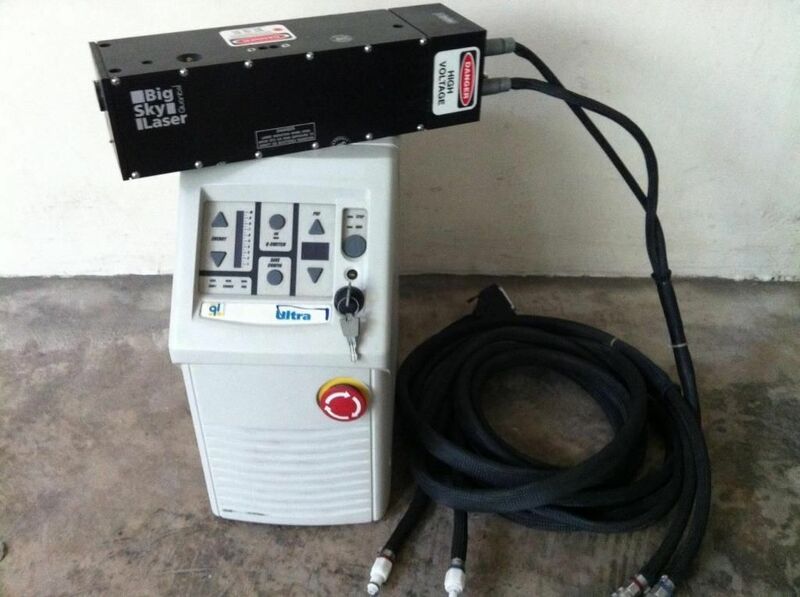 This laser is totally portable and the laser head is coupled to a wide core silica fibre optic cable, allowing the beam to be delivered to areas where access is difficult. Cedip Titanium Thermal Camera Thermal imaging camera used primarily for theromographic NDT, but has generic applications for imaging surface temperatures of components. Sensitivity down to 25mK. Micropulse 5, 128 channel. 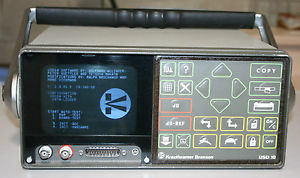 phased array controller with phased array probes and connector adapters. Matec High Voltage Pulser & Receiver Powerful, very high voltage toneburst pulser - no longer in production and based on valve technology. 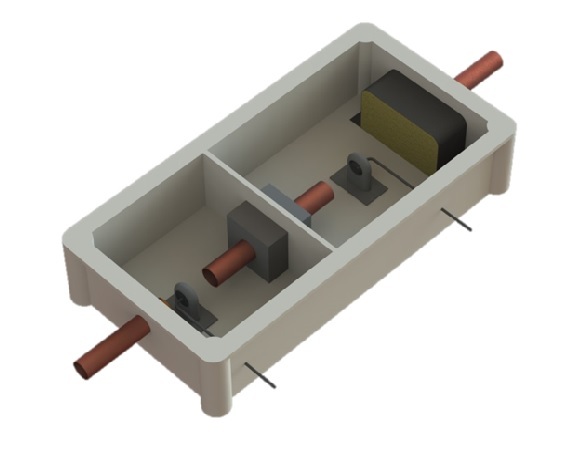 Used for driving small, inefficient piezo electric probes and EMATs. Bandwidth 1 - 90MHz, with the possibility of going to 310MHz. Powerful, high voltage toneburst pulser. Designed for driving EMATs and also small, inefficient piezo electric probes. Bandwidth 50kHz - 2MHz. Powerful, high voltage toneburst pulser. Designed for driving EMATs and also small, inefficient piezo electric probes. Bandwidth 200kHz - 5MHz. 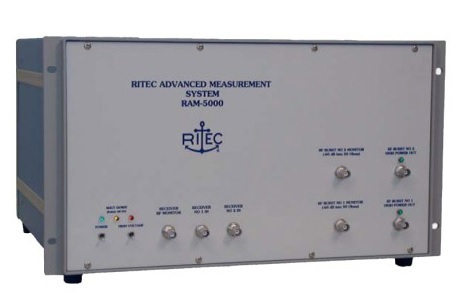 Adapted RAM-5000-M4 with bandwidth 250kHz - 40MHz, with diplexer. Modern, small and highly portable industry standard flaw detector. 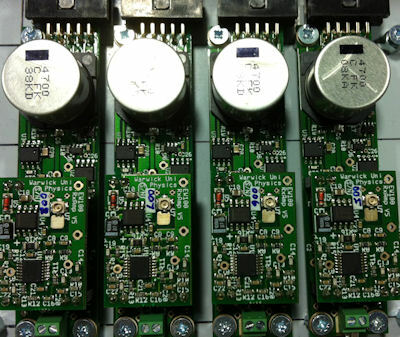 Can be used with standard piezoelectric probes or in conjunction with specially designed EMAT adapters. Bandwidth 200kHz - 20MHz. Krautkramer Ultrasonic Flaw Detector Older, portable industry standard flaw detector, still used by some industries. Can be used with standard piezoelectric probes or in conjunction with specially designed EMAT adapters. Bandwidth 200kHz -10MHz. 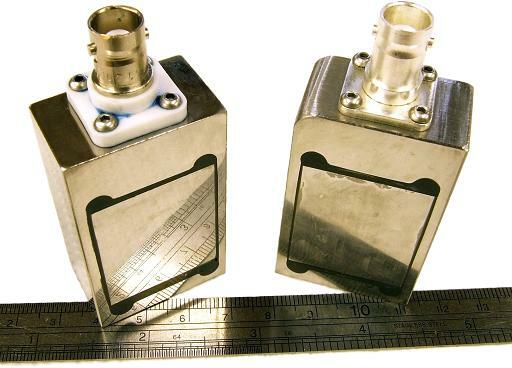 EMAT Flaw Detector Adaptors Specially designed adapter boxes, designed to allow normal incidence SH EMATs to operate with most standard ultrasonic flaw detectors. Some use FPGA based technology to provide signal averaging external to the flaw detector. Allows practitioners to use EMATs for thickness gauging with minimal additional training. Bandwidth 200kHz - 10MHz. pulser-receiver. Typical bandwidth 50kHz- 20MHz. 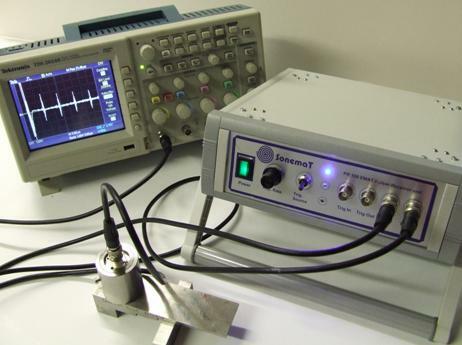 Wideband EMAT Pulser-Receiver Bench-top EMAT pulser-receiver for use with standard EMATs, typically used for thickness gauging type applications . Typical bandwidth 200kHz- 20MHz. Assorted Preamplifiers Range of commercial and in-house developed amplifiers covering most of the frequency range for ultrasonic applications. detection. Typical bandwidth 500kHz- 20MHz. thickness gauging type applications of metals. Typical bandwidth 50kHz- 15MHz. 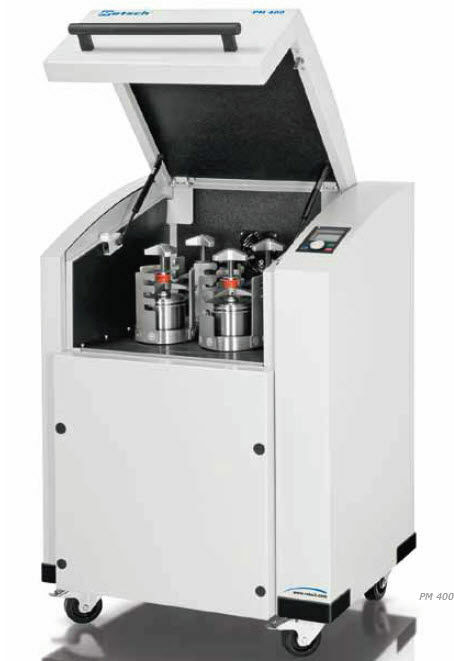 Water cooled, high temperature models available. Angled SH EMATs got generating bulk and SH plate guided waves. Come in two different wavelength pitches - 10mm and 6mm, allowing operation of up to 1.5MHz for angled beam inspection. measurements of ultrasonic waves in air (20kHz - 1MHz). 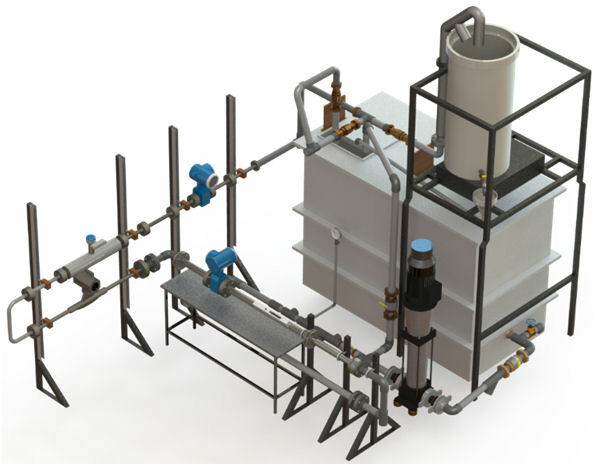 Air flow rig A small benchtop rig with 150mm diameter pipe, drawing ambient air through a length of pipe, with variable flow rates. Benchtop Ultrasonic Gas Flow Cell A fully sensored, plastic bodied ultrasonic gas meter for testing flow measurements and transducer performance. Gage Octopus A/D cards 8 channel, PC based A/D system. 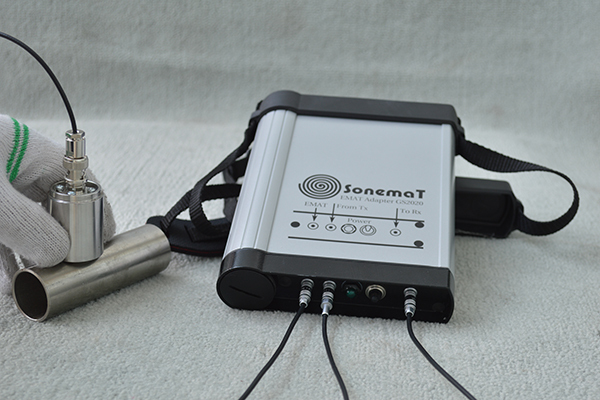 Adequate for rapid capture (of >100Hz) and signal processing of most ultrasonic signals up to 50MHz, with up to 8 channels simultaneous capture. Single or dual channel, USB based A/D system. Adequate for signal capture and processing applications up to rates of 20Hz. Will handle of most ultrasonic signals up to 50MHz. Digital Oscilloscopes Range of 2/4 channel commercial digital oscilloscopes with PC connectivity covering most of the frequency range for ultrasonic applications. 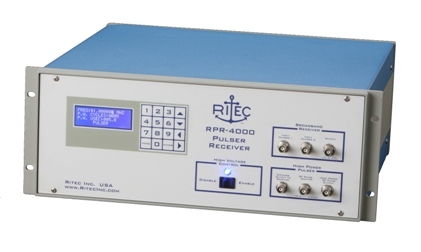 Adequate for signal capture and processing applications up to rates of 20Hz. 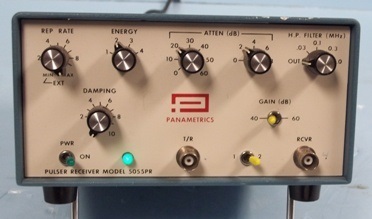 Impedance analyser used for characterising a range or ultrasonic probes and electro-magnetic sensors. Essential lab based tool for developing and designing sensors. Function Generators Arbitrary function generators used to directly drive piezoelectric sensors, amplifiers or any general application up to frequencies of approximately 10MHz. XY Tables XY tables with scan area of 30x30cm or 40cmx40cm, at a pitch of 50 microns. PC controlled. Cryogenic Probes Experimental probes and equipment for measuring material properties using ultrasound over a temperature range from 3K to above room temperature, using contact or non-contact measurements. Retsch Planetary Ball mill used in the preparation of powders for manufacturing customised piezoelectric ceramic elements. 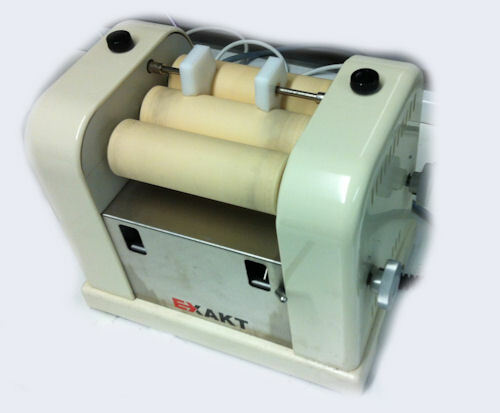 Tape Caster Roller based tape casting system used in the preparation of manufacturing piezoelectric ceramic elements. 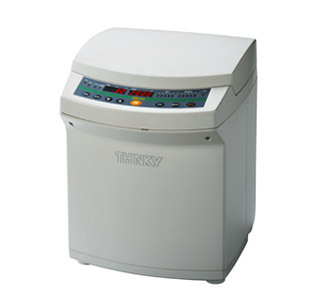 Thinky automated polymer mixing system used for manufacturing the dampening backing layers or front face matching layers for piezoelectric transducers. 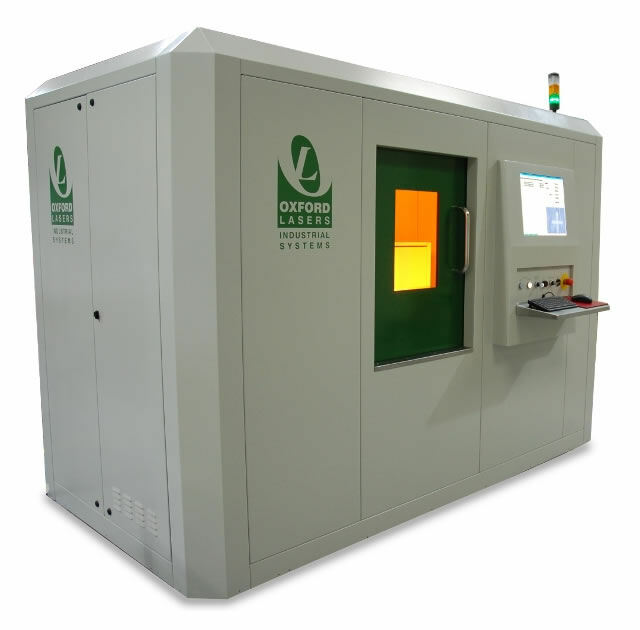 Laser Micromachining Expertise and access to departmental facility for laser micromachining of metals, glasses or ceramics. 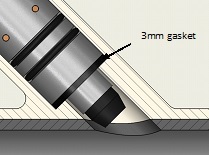 Cut depths down to 2-3mm, with gapes of approximately 50microns. Complex shapes can be programmed. Mechanical Design and Machining CAD design and Finite Element modelling of components. CNC milling machines, lathes and general machining facilities. Design and layout of bespoke, electronic circuits for ultrasonic project support work. Using micro-stereo lithography and thermoset resin systems, small components can be manufactured for prototyping purposes. 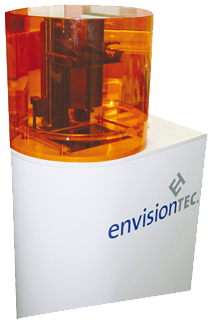 We have two UPBox 3D printers in the group, that we are able to use for a range of prototyping applications, having made sensor housings, holders, formers and a number of other devices from ABS plastics.